Cook pasta as package directs, with olive oil and salt – while the pasta is cooking prep your veggies. Lightly sauté kale in coconut oil for about 1- 2 minutes, set aside. When pasta is cooked, drain and transfer to a bowl. Add the prepped veggies (not the seeds yet! ), kale, sundried tomatoes and dressing while pasta is still warm. Stir well to coat. Sprinkle with seeds, salt & pepper right before serving. This salad keeps well in the fridge for a couple of days and is really great for lunch. It can be lightly sauteed and served warm. 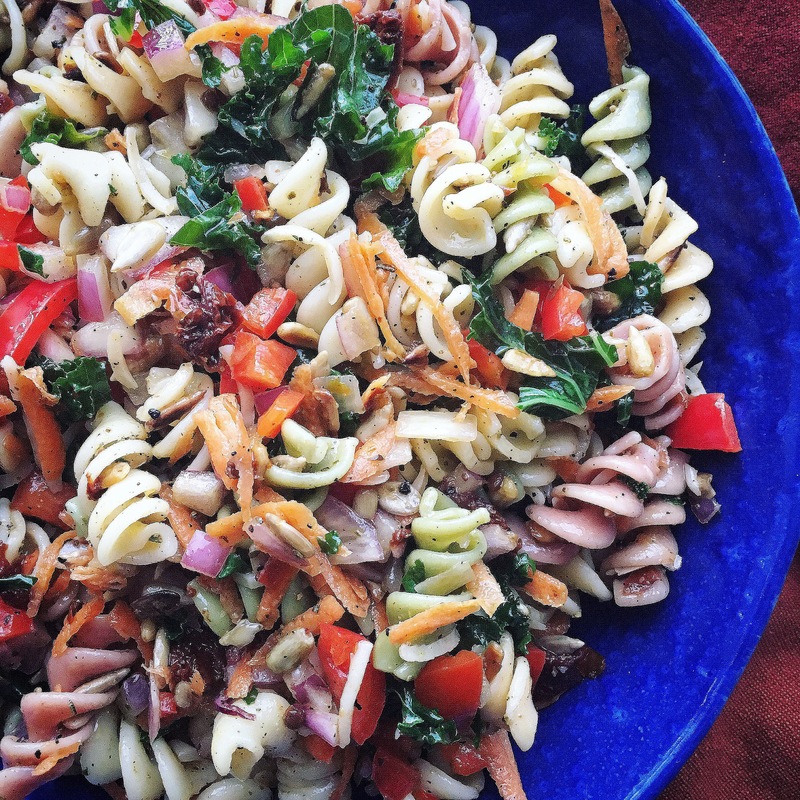 A fabulous gluten-free, allergy-free, vegan recipe for potlucks and BBQs.